Reflection 21st Sunday in Ordinary Time, August 26th 2012. Reflection 21st Sunday in Ordinary Time, August 26th, 2012. Gospel Reading (in Year B) is from St. John, Chapter 6, verses 60 to 69. It’s crunch time: ‘What about you, will you also go away?’ A hard saying, because a profound truth was being presented, and ‘many of his disciples left him and stopped going with him’. His teaching is still a great challenge to every one of us, today. Why should they believe him, -why should we believe him? ‘Unless you eat the flesh of the Son of Man and drink his blood, you will not have life in you.’ They did not understand the depth of what was on offer, in this gift: even the Twelve did not understand it. Only later would it begin to make sense, and even then very slowly,- from the Last Supper onwards and the times they would later gather, after the Resurrection and after Pentecost, for what they called ‘the Breaking of Bread’, or what we now call the Eucharist (Thanksgiving), or the Mass (the Sending Out). ‘Will you also go away?’ And why not? But Simon Peter, -thank God for him !- spoke up, even in his own bewilderment: ‘Lord, to whom shall we go? You have the message of eternal life, and we believe, we know that you are the Holy One of God.’ He said this, not because he understood, but because Jesus was Jesus, and Simon Peter recognised him as the Holy One of God, and therefore One you could trust absolutely. We may not understand, but we eat, nonetheless. Why? because Jesus said it. 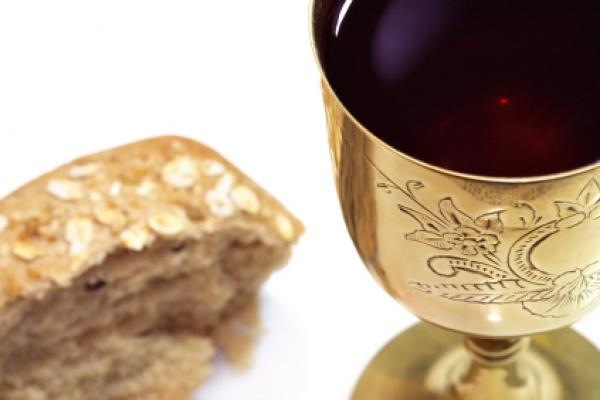 We take and eat, we take and drink, because Jesus told us to do so in his memory,- remembering his most solemn words ‘This is my body, given for you!’, ‘This is my blood, poured out for you!’ Maybe we just say ‘Wow!’, and bow. The depth of his love in this gift to us, is overwhelming. ← Reflection: 20th Sunday in Ordinary Time, – August 19, 2012.